Five adorable Pookie board books are available to bundle together for your favorite little piglet. Boynton's Pookie books are bright, fun, and full of sweet stories in rhyming text that always makes me smile! Start with the first, and see if you can resist the rest! 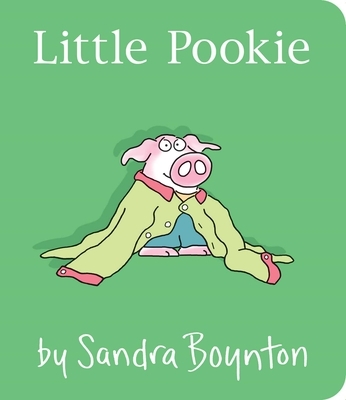 Meet Little Pookie—a perfect piglet series from the beloved and bestselling Sandra Boynton. Why, who is this piglet? May I tell you ten little things I know about you? Discover what makes Pookie so nifty in this sweet, sort-of-counting book that’s made for cool little kids and parents alike. With Sandra Boynton’s signature charm and piggy pizzazz, this silly story proves that everyone needs a Little Pookie in their life!